Pacific® Bulky is the latest addition to our Pacific® line. This versatile yarn is easy to care for and easy on the budget. 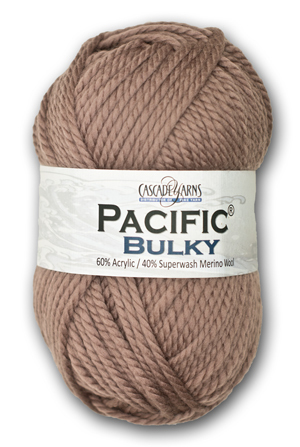 Generous 200 gram balls make this yarn a logical choice for blankets but we also like Pacific® Bulky for quick charity hats, etc. Available in 11 colors.